HOME WILL BE READY IN 2 WEEKS**BEAUTIFUL NEW CONSTRUCTION HOME COMING SOON! BUYERS STILL HAVE TIME TO MAKE THIS HOME THEIR OWN BY PICKING OUT THEIR COLORS, FLOORING, COUNTERTOPS, ECT. Let the next home be your dream home when you walk through the front door and see the home customized just the way you like it! This home will have a modern style with top-notch appliances and many upgrades. 3bed+den/ 2 bath with two car garage! Perfect home to start a family with the home boasting a 1660sqft.!! 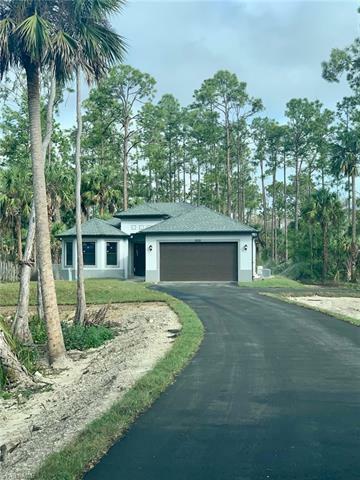 Sits on 1.17 acres plenty of space for your children to enjoy the nice outdoors and with enough space to build a pool to enjoy the hot Florida summer days. Enhanced features include TILE FLOORING, KITCHEN BACKSPLASH, GRANITE COUNTER-TOPS, STAINLESS STEEL APPLIANCES, OPEN LANAI, ASPHALT DRIVEWAY, WALK-IN CLOSET, DUAL SINKS, AND LARGE SHOWER FOR TWO IN MASTER BEDROOM, DEN/ HOME OFFICE, SPACIOUS ROOMS, AND SO MUCH MORE. Buyers benefit from buying a new construction home...New Roof, New A/C, New Water System!! THIS HOME WILL NOT LAST ON THE MARKET!